We are pleased to announce that Ven Kunsang Choephel will begin the Saturday teachings at IBA on Saturday 16 February. 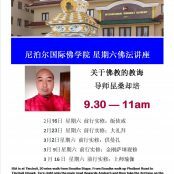 The teachings are in English and all are welcome. Arrive at 9am for tea. 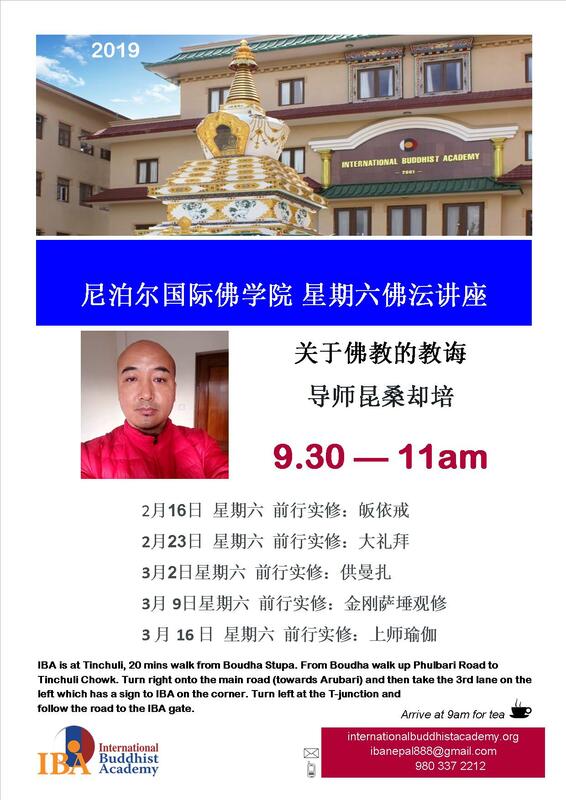 For more information please phone Ven Kunsang on 980 337 2212.